No plastic waste. I will not buy plastic bottles of water, try to go to local market for groceries. While I am already an avid user of my Keep Cup and re-usable water bottle at uni, I would like to take this commitment one step further. Waste is such a huge problem in Australia (especially with all the take-away coffee lovers in Melbourne!) and I'm not sure that just recycling what we can is enough. So I am saying no to disposable food and drink containers, and no to plastic bags! I will only use my reusable Keep Cup, drink bottle, lunch box, and shopping bags :) Here's to approaching zero waste! I wish I had a garden, i only have a little balcony =(. However, I do have biodegradable rubbish bags that I use for the food scraps, and where I live there is a local compost garden! Also, I work at a shop where we sell compost bins that allow the air flow and therefore reduce the bed smells in the kitchen, if you want to check it out let me know I'll give you details! Have you ever thought about how much waste you produce in a day? How about a year? The average Australian person generates 2000kg of waste per year. For an average household, that amount of rubbish is enough to fill a three-bedroom house. Not only that, globally it is estimated there is nearly 5 trillion pieces of plastic floating in our waterways. These statistics were enough to inspire one young woman to eliminate trash completely. 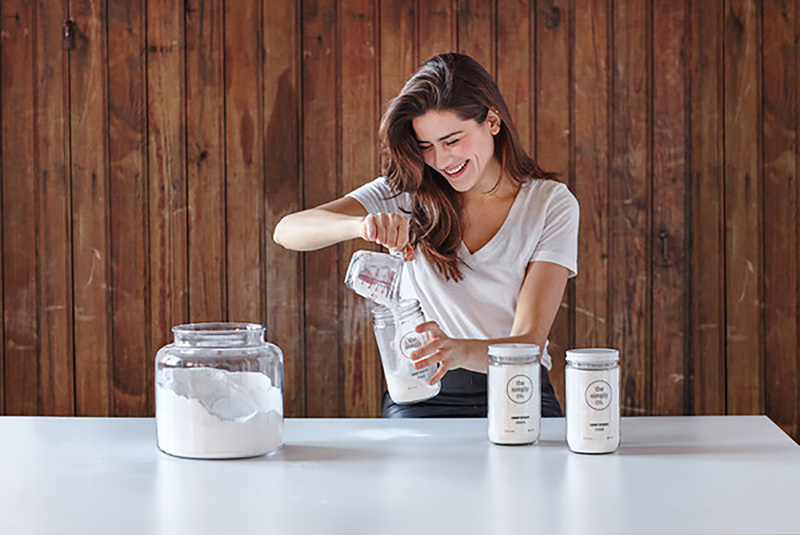 Over the past three years New Yorker Lauren Singer has amassed only a mason jar's worth of trash – that is, trash that is non-recyclable and non-compostable that would have otherwise gone to landfill. The 25-year-old was studying environmental science at university when she realised how much plastic and waste she produced every day. In making the transition, Lauren stopped buying packaged products and started taking her own bags and jars to supermarkets. She stopped buying new clothing, and shopped only second-hand. She started buying organic fruits and vegetables, bulk whole grains and legumes, as well as a lot of seasonal, local food. Her lifestyle is a testament to the fact that living sustainably doesn't have to be challenging, difficult or boring. Nor does it happen overnight. It took Lauren a whole year to transition to living almost entirely waste free. Make the switch. Use reusable bags, cotton drawstring bags and reusable coffee cups. Seek alternatives. Like using compostable toothbrushes instead. Or making your own shampoo and washing detergents. Could you commit to a life where nothing you use goes into landfill? Well, perhaps this is just the inspiration you need. Make it your challenge and Take One Step today. Lauren started a blog called Trash is for Tossers that follows her journey and outlines different ways to live zero waste lives.